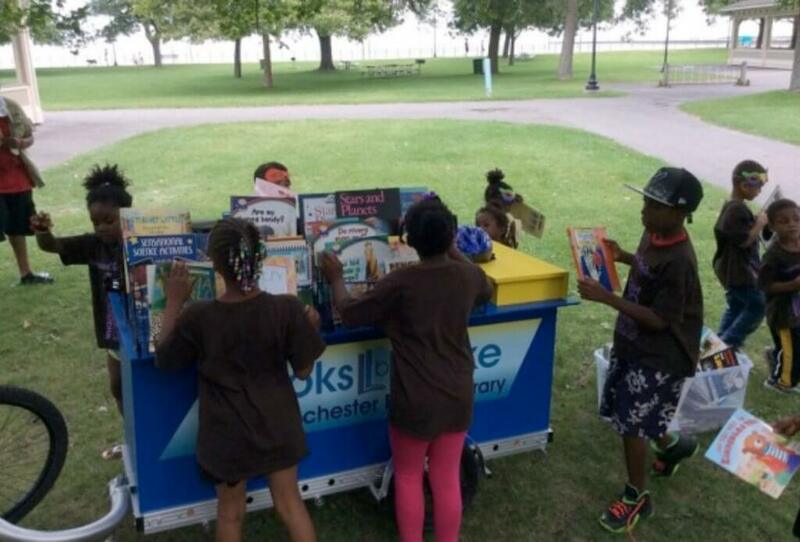 Since its debut in May 2015, Books by Bike has been out and about in the community many times. Outings have included events like local Farmers’ Markets, community festivals, parades and others. 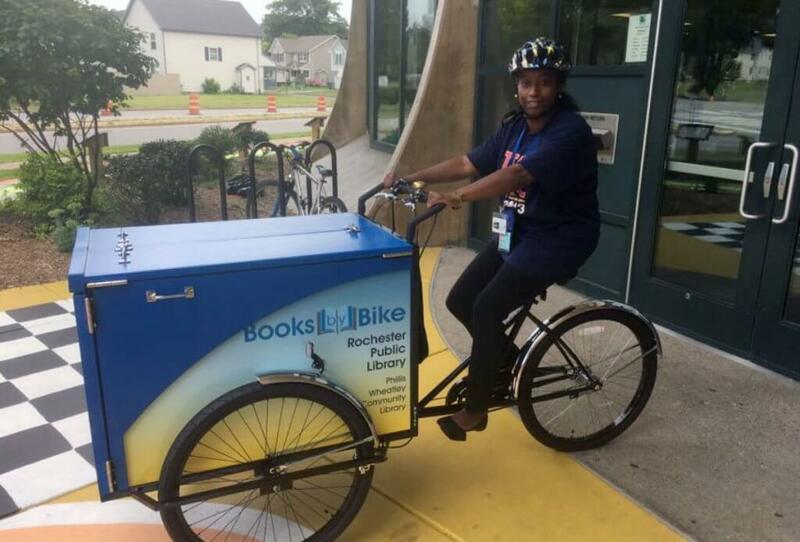 Books by Bike has helped RPL staff reach people who might not be able to travel to the library or who might not even be aware of the library and its services. During Books by Bike outings, RPL staff can create new library cards and provide other circulation transactions (charges or returns of library materials). And, they can give away books – mostly to children – and also provide general library information to people. 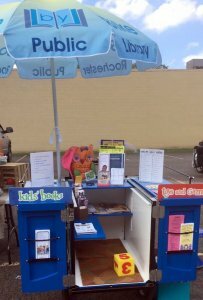 The original Books by Bike’s popularity garnered funding for two more of them – the three Books by Bike are located at the Arnett and Wheatley Branches and at the Central Library.